Order online, by phone, or in our showroom. Please do not send credit card information via e-mail as it is NOT secure. If you place your order on this website, your information IS secure. Note on credit card processing: When you place an order, it will appear as a “pending transaction” on your card. We will not charge your card until your order is shipped. This pending transaction will not affect your credit limit until the charge goes through. Operational hours: Our showroom and sales office are open Monday through Friday, from 8:30 a.m. to 5 p.m. EST. Our showroom is also open on Saturdays, from 9 a.m. to 3 p.m. EST, from Memorial Day to Christmas. Please note orders placed after 1:00pm EDT with USPS Shipping, and orders placed after 4:00pm EDT with UPS Shipping, will ship the next business day. If you are redeeming a gift certificate, please enter the gift certificate number on the payment screen during checkout. You may redeem multiple gift certificates for an order. If the order amount is greater than the value of your gift certificate, you may enter a credit card number to cover the remaining balance after you have entered the gift certificate number. (Please note: You must redeem any and all gift certificates you wish to use on an order first, before adding credit card information.) If the order amount is less than the value of your gift certificate, the balance of the gift certificate will remain active and can be redeemed on future orders using the same gift certificate number. Overseas customers are welcome to order directly through Lie-Nielsen Toolworks, USA. Prices are in US dollars. Purchaser is responsible for all duties or other customs charges. If you're interested in seeing our tools in person or ordering locally, please visit our representatives at other fine tool stores in Asia, Australia, and Europe for local pricing and availability. Canadian customers are welcome to order directly through Lie-Nielsen Toolworks, USA. Our prices are listed in US Dollars. 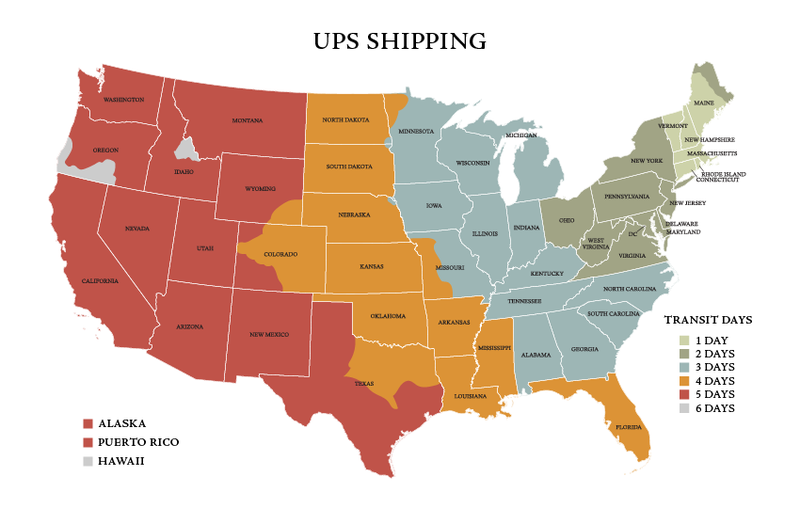 We recommend that Canadian customers select UPS Air services (Express or Expedited) or USPS Priority Mail Service. GST (taxes) are charged upon delivery. A $10 Bond Fee is charged by UPS for all Expedited and Express shipments crossing the border, and a 2.7% Bond Fee is charged by UPS for Standard ground shipments crossing the border (a minimum of $6). To avoid Bond Fees, call 1-800-PICK-UPS and ask about Prepayment or Electronic Funds Transfer (EFT) plans. Please note that UPS Standard ground service is not recommended, as taxes, brokerage, and duties fees are generally charged on import and can exceed 25% of the total cost of the order. Actual shipping costs are charged on all orders. *Please note UPS Ground shipping methods are not guaranteed during Holiday Shipping. Bench Shipping: We prefer to use a furniture moving company, who will blanket wrap your bench, deliver it and set it up for you. This services takes longer, but is worth the wait. For more information please visit our Workbenches page. If you wish to have your bench shipped by a personal freight forwarder, we will need to build a crate, which costs $200. With the crate fee, total shipping cost is usually about the same as the blanket wrap option, but it is faster. Or, you are welcome to pick up your bench at our shop in Maine. Maine State Sales Tax will apply. While we make every effort to maintain stock on all our products, quality is our highest priority. Our tools are not mass produced. We may have to ask for your patience until your tool is ready to ship, but we think you'll find the tool you get will be worth the wait. In most cases, the delay for regular production tools is less than three weeks. Some specifically identified tools are special order items with limited availability and may take longer. In any case, if you pay by credit card, we won't charge you for a tool until we actually ship it to you. If you need to return a tool to us for any reason, please be sure to wrap the item carefully and pack in a sturdy box. Please include your name, contact information, and a detailed explanation for the return and send tools fully assembled with all screws well tightened to avoid damage in transit. Please insure it with the Postal Service or UPS, whichever you prefer to use. Call toll free 1-800-327-2520 (or 1-207-273-1520).